Cancer vaccines are different in many ways from cytotoxic drugs. Consequently some of the paradigms for the early clinical development of cytotoxics are not applicable to the development of therapeutic vaccines. In contrast, many of the principles of phase III clinical trials are applicable to cancer vaccines. 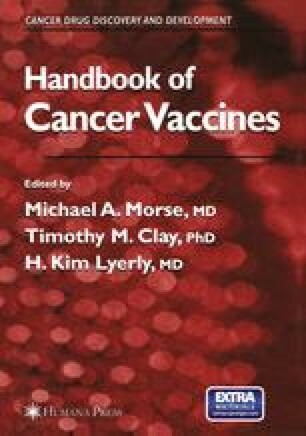 In this chapter we will describe design strategies for the efficient early clinical development of cancer vaccines.